Among the garage door parts responsible for most of the hard work, you will find the cables and tracks. The former are responsible for lifting and lowering the door while the latter guide it through the opening and closing cycle. If these components are not in good condition serious issues can arise. In case of broken cable or severely bent track, the whole unit can get completely stuck. Learn how to provide proper maintenance to these components to keep them in good condition at all times. This is the first step of each and every garage door maintenance session. This is because if the components are worn-out or seriously damaged, they must be replaced right away. Inspection is not a difficult task as long as you know what to look for. Check the entire length of the cables and their attachments - The main thing to watch out for is fraying. Frayed garage door cables must be replaced as quickly as possible so that serious problems and accidents are prevented. The other extremely important thing to look for is the presence of cuts along the length of the components. These are extremely serious culprits as they can lead to breakage. Extensive rusting is also a serious problem that has to be resolved. Inspect all track sections for misalignment and damage carefully - It is best to start from the top and go down. 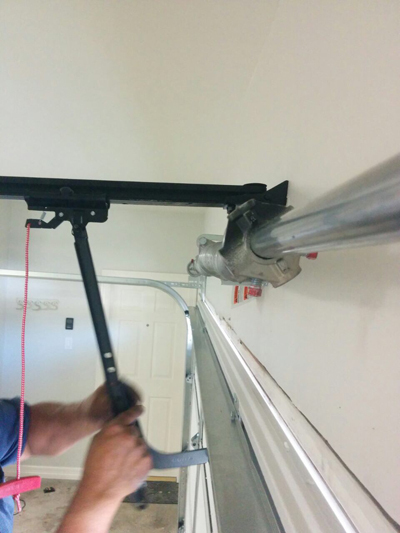 In addition to checking for misalignment, you should inspect the brackets and bolts which hold the tracks. Damaged and broken ones require replacement straight away. You have to watch out for blockage and bending as well. 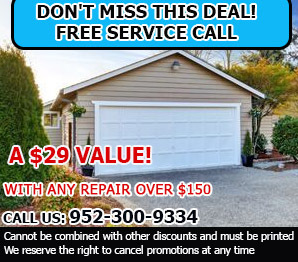 In case the track is seriously bent, you can turn to Garage Door Repair Hopkins to solve your problem. Look closely at the bottom sections of the track to check whether there is rust. You have to ensure that you will do everything correctly in order to get the best results. Remove rust first - You should do this with an appropriate rust remover. You must not use steel wool on the cables due to their design and the fact that they are under great tension. This tool is useful for cleaning the garage door tracks, however, if the rust accumulation is thick and stubborn. Align the tracks properly to prepare them for cleaning - Loosen the bolts and adjust the sections correctly. Then tighten the bolts, but not too much. Clean the tracks with a brake cleaner from top to bottom - You simply need to spray the product over the sections and it will loosen the dirt and take it down. Wipe the dirt carefully with soft lint-free cloth to ensure that no trace of it will remain and get stuck between the garage door rollers. Tracks do not require lubrication. Apply lubricant to the sections of the cables at the bottom bracket button - Use a product which is recommended by the manufacturer of the overhead door. Apply a small amount of it evenly. Run the door to ensure that the lubricant will get spread properly. Now the cables and tracks must be in top condition.